UPS said around 70% of its packages are going through automated facilities. That's up from 50% in 2017. This year, UPS aims to have nearly 80% of packages sorted by robots in those automated facilities. The shipping giant opened 22 new or retrofitted automated facilities in 2018 worldwide, including five new superhubs. Those new technology-enabled facilities boast 25% to 35% higher efficency, the company previously said. An additional 18 automated hubs will open in 2019. It's part of the company's growing investment in technology and automation, as UPS leaders emphasised to investors on Thursday. "Adding technology and automated capacity is absolutely the right approach for the future of our more efficient and flexible network," chief operating officer Jim Barber told investors. UPS said that the investment in technology has helped power UPS shipments during its peak holiday season - it delivered a record number of packages in the 2018 peak season. 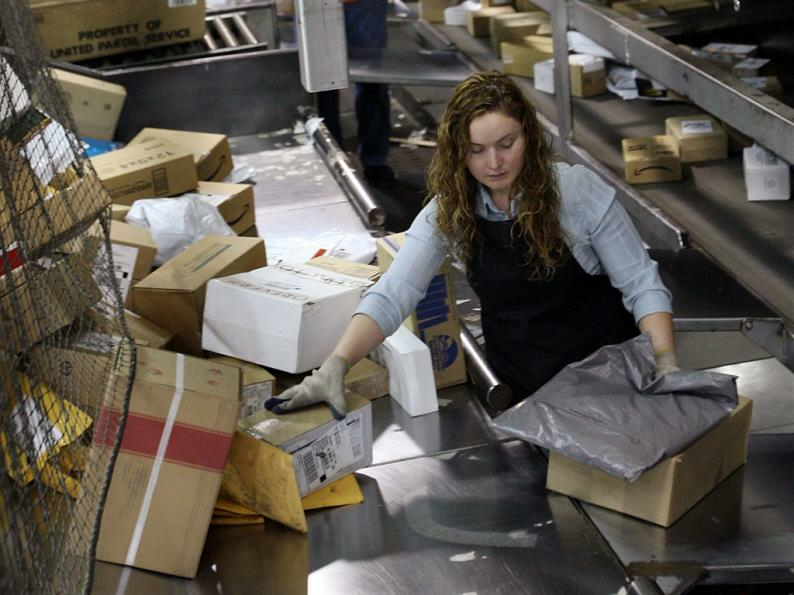 Throughout Q4, UPS delivered an average of 21 million packages per day. Helane Becker, Cowen managing director and senior research analyst, said the increased emphasis on investment is new from UPS. "Historically, I've always felt that UPS underinvested in the business," Becker told Business Insider after the investor call. "They've always invested to catch up to growth versus their biggest competitor, FedEx, who has always invested to stay ahead of growth."